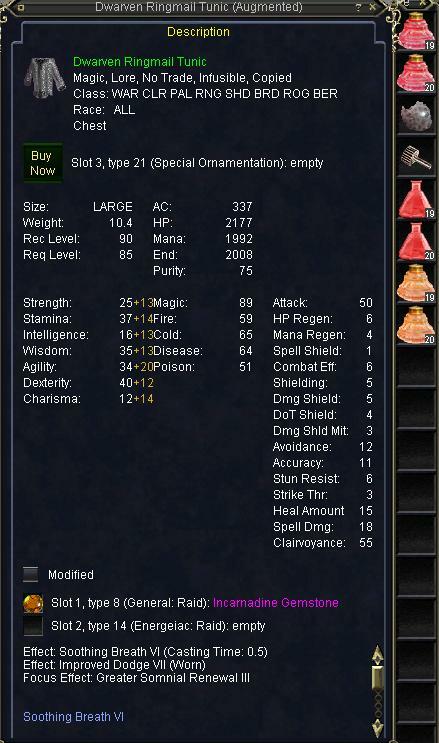 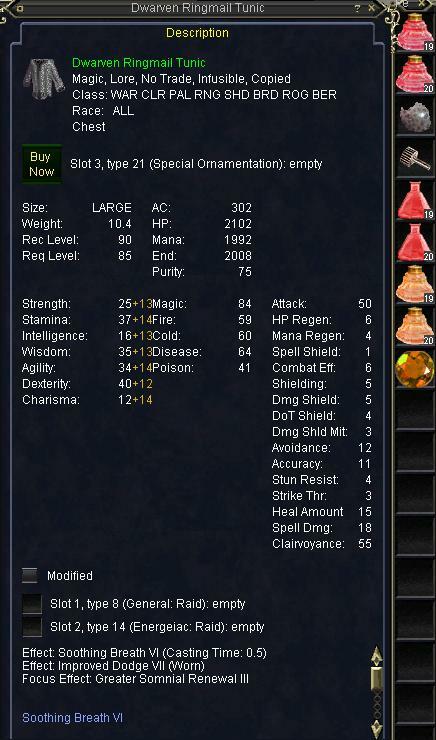 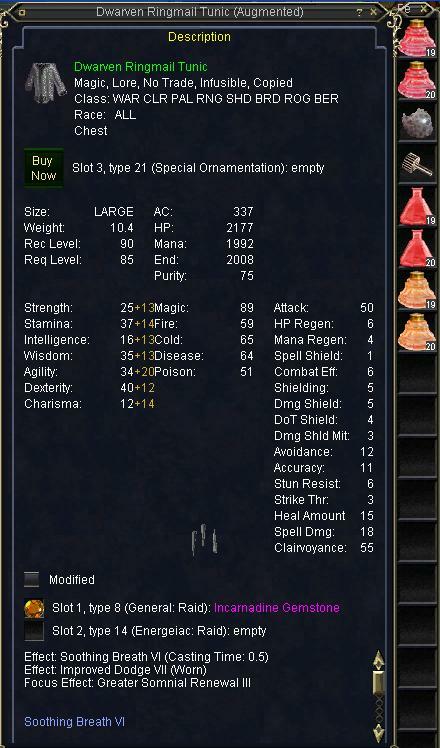 Augmentations in EverQuest are special items that get put into your armor to give it more stats, or in weapons to give more stats, or procs, or more damage, and other such bonuses. On Visible pieces you will notice the Buy Now button, this appears if you do not own the Hero's Forge feature. 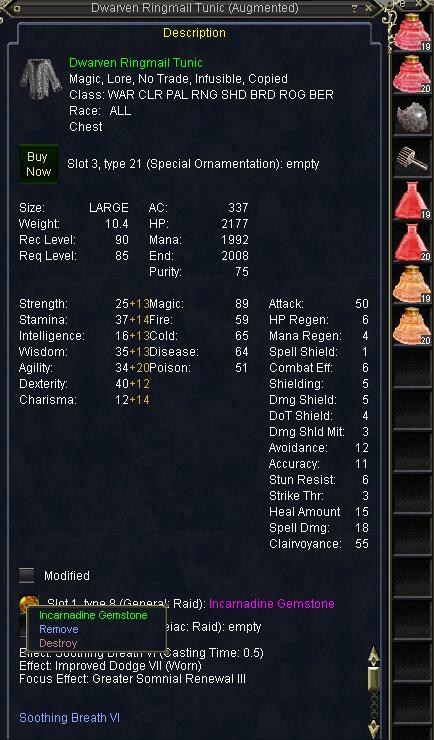 This is the same location where the slot is on Weapons as well (Although weapons do not require this feature to Ornament). The Items must be in your inventory to use the Augmentation features (Add, Remove, Destroy, Swap). 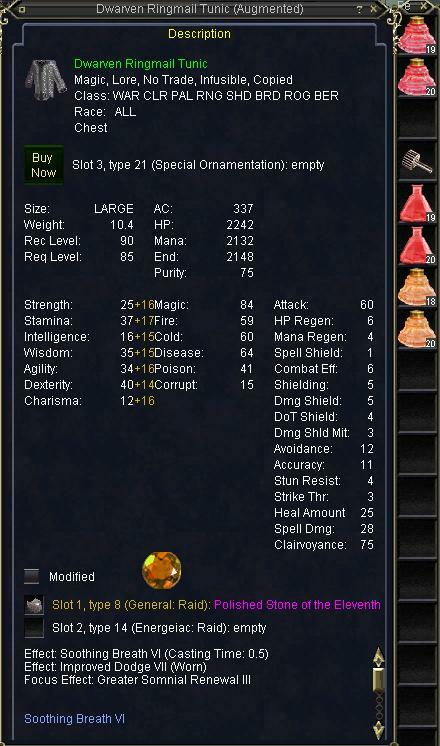 Click on any of the Images for the full size version. After clicking Yes, the Augment is now in the item! 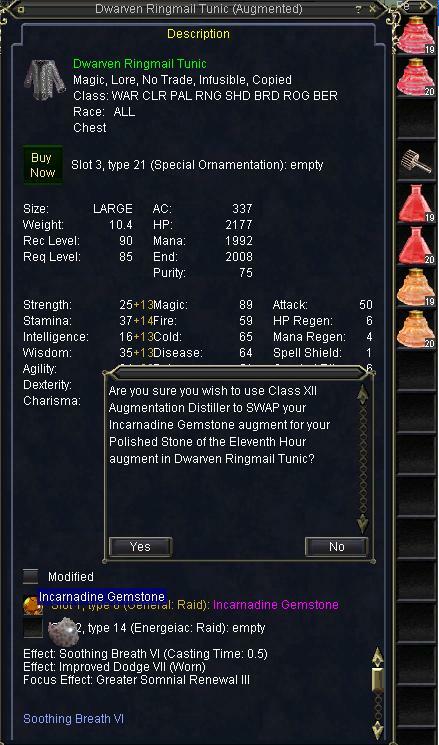 Clicking Yes then swaps the Augmentations! 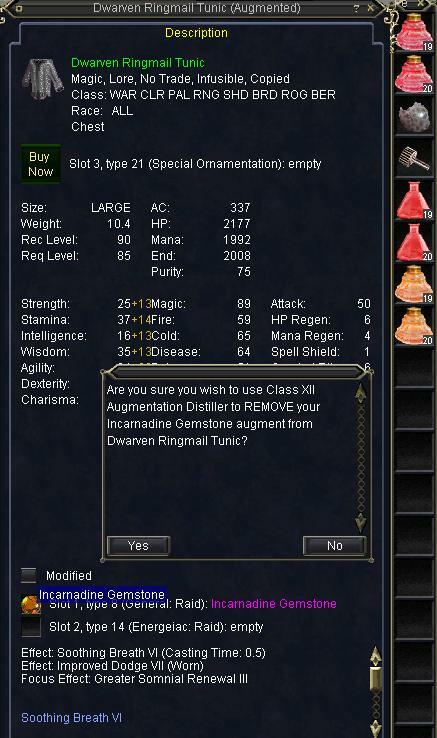 Keep in mind you will need a Distiller for the Augment that is already on the Item for them to Swap.